I woke-up early and started to walk down south to have my usual map-guided hiking adventure, free map available in the hostel. From Peace Avenue, going to Big Ring then Lenin Avenue. 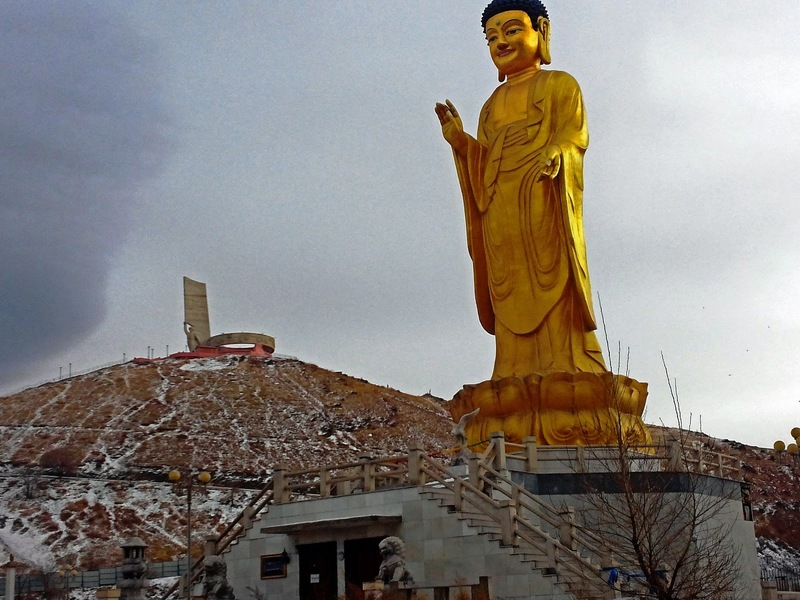 From Winter Palace of Bogd Khan (close at this day due to Lunar New Year), going to Buddha Park (open park free admission), to Zaisan Memorial (open park no free admission) all the way to Bogd Khan front mountains. Winter Palace of Bogd Khan is located in southern Ulan Bator, on the road to Zaisan is now a museum. The palace is the only one left from originally four residences of the eighth Jebtsundamba Khutughtu, who was later proclaimed Bogd Khan, or emperor of Mongolia. Buddha Park is found easily on the way to Zaisan Hill because of an image of a huge Buddha statue. The peaceful temple-like environment and clean fresh air are the best reasons for visiting this park. Buddha Park offers a tranquil place to relax the mind and body and deserves a visit whenever you are in the south end of the city – whether to sip some coffee or to catch some good karma vibes. Bogd Khan Mountain is a mountain in Mongolia that overlooks the nation's capital, from a height of 3000 feet (914m) above and to the south of the city. Zaisan Memorial is the first memorial monument, honored Soviet soldiers who protected independence of Mongolian people from foreign surrenders erected in 1956 on Zaisan Hill. This is the most impressive memorial complex in the 2nd half of the 20th century. There is staircase with 612 steps to the top which is 300 meters.